Lou Zeldis is an American who lived in Indonesia for many years, working with artisans to conserve jewelry and textile traditions (both batik and ikat). The attar vine used in his jewelry pieces is also used in weaving of baskets and other containers, and the tradition is especially well represented on the island of Lombok. He has been producing unique examples of modern handicraft in various mediums using ancient techniques and material, working with living treasure artisans for over a decade in wide-ranging cultural groups around the Indonesian archipelago. He attributes this maniacal need to invent to his theatrical background and meetings with remarkable men and women. 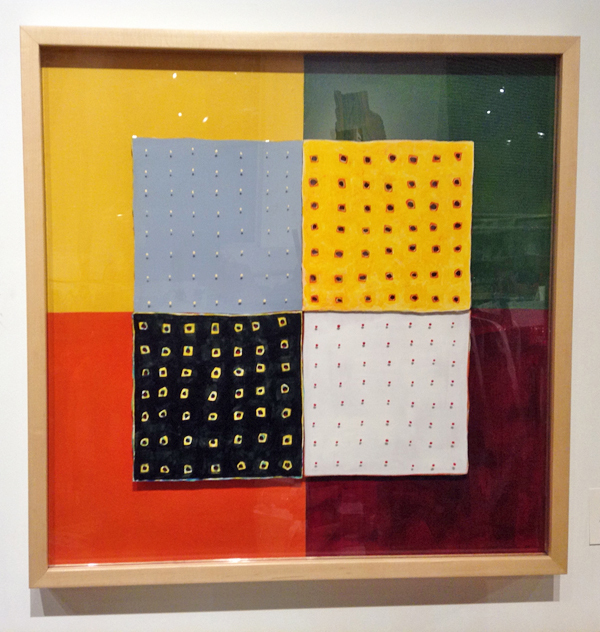 Lou is known for his modern bold motifs both in his jewelry designs and his batiks, where motifs range from images of rice paddies and ivory beads, maps and numbers, to the dome of the Metropolitan Museum of Art. In his collaboration on ikats we see the Tibetan Tiger Rug and Northwest Coast American motifs. Sadly, Lou passed away recently, but has left a fairly large collection behind; thus, we can continue to enjoy his artistry in the near future. 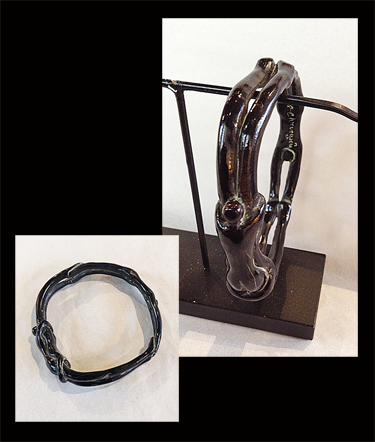 It must be noted, however, that another of our jewelry artists, Woodleigh Hubbard, who is a fan of Lou's, uses his hand-made components in some of her jewelry pieces. They may be viewed on her shop page. Five-drop multi-color sapphire. 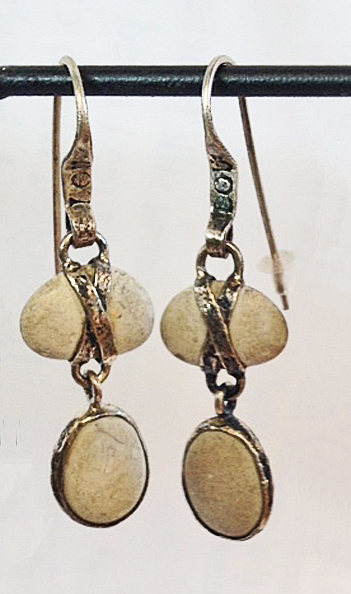 Hammered sterling silver, in the artist's inimitable style. For further information, please contact the gallery. Double drop. Hammered sterling silver in the artist's trademark style. For further information, please contact the gallery. 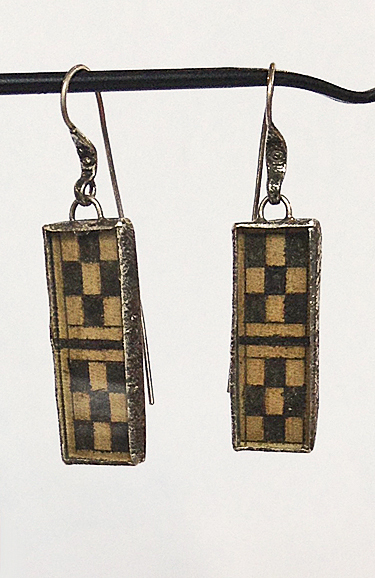 Checkered black and white glass and silver earrings. 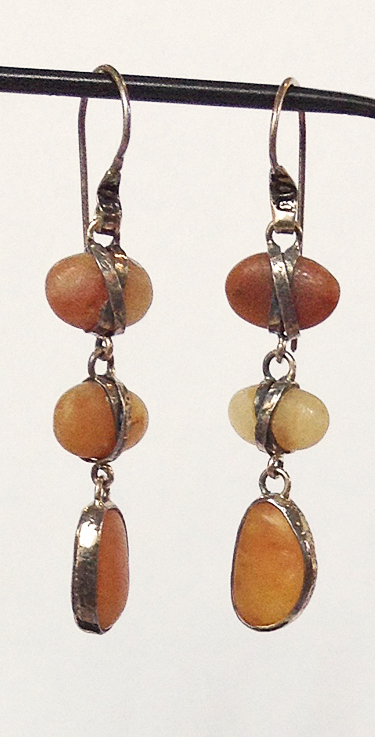 Triple-drop agate gemstone and silver earrings. 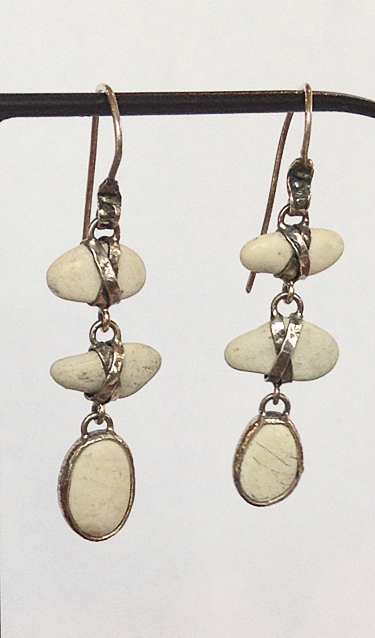 Triple drop Japanese white pebble and silver earrings. 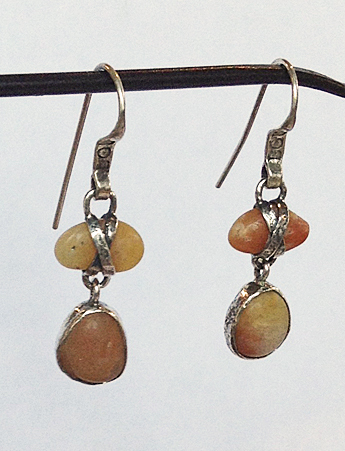 Double drop agate gem and silver earrings. 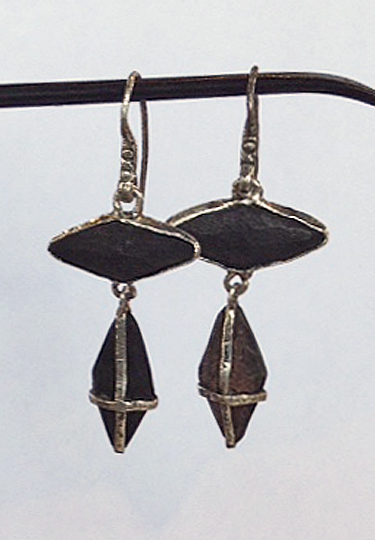 Two-drop black wood and silver earrings. 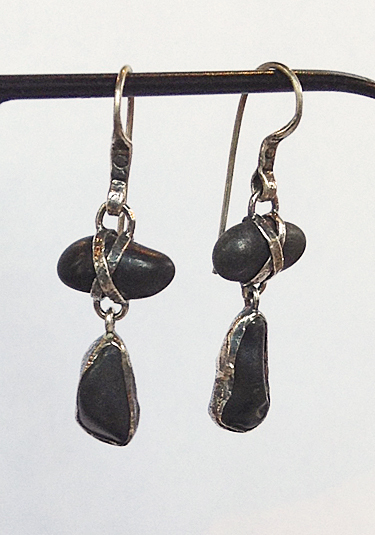 Double drop Japanese black pebble and silver earrings. 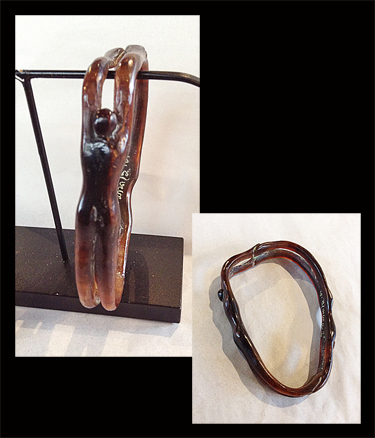 A remarkable sculpted bracelet with an earthy, rustic vibe, enjoyed by yoga and meditation enthusiasts and Lou's many collectors around the world. 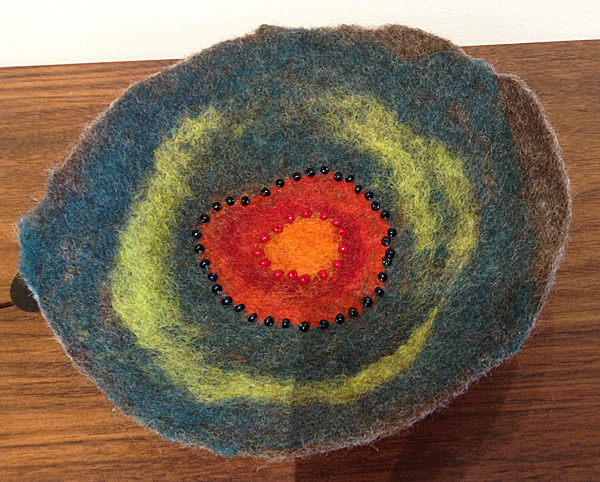 For further information, please contact the Gallery.